Our next skiing adventure took us to Coronet Peak for some night skiing! Coronet Peak is the only ski field that offers night skiing on Friday and Saturday evenings. We decided that after a full day of skiing at the The Remarkables on Thursday our sore and tired bodies needed a break. So resting in on Friday morning was a perfect way to recharge. 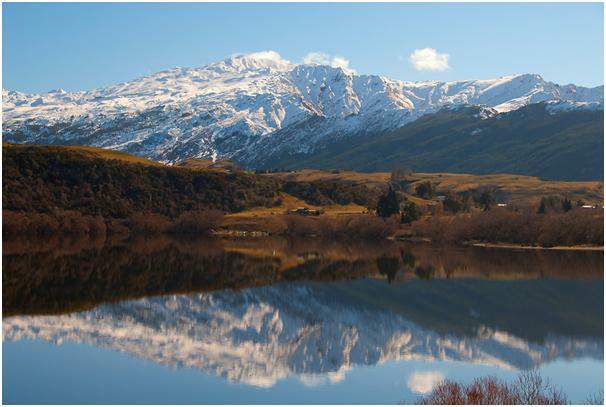 As I mentioned in my last post Coronet peak is only about 20 mins drive away from Queenstown and in the opposite direction to The Remarkables. The mountain road to Coronet Peak is tar sealed, steep and windy and I would highly recommend you hire a 4WD to safely get you up the mountain roads on your skiing holidays. Coronet carpark is quite narrow with several carparks on varying levels. This means that once the first car park is full you will have to park further and further away from the snow. However, there is a shuttle bus that operates every 10 minutes or so, transporting passengers from the lower carparks to the guest services office. The benefit of the shuttle is that you miss out on having to walk to the snow and by-pass the metal stair case which is at the top of the first carpark. Remember walking in ski boots, and juggling poles and skis is a little challenging to say the least! 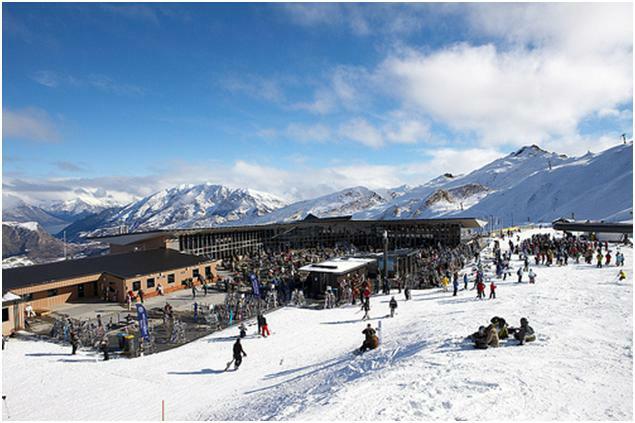 Coronet Peak was New Zealand’s first commercial ski field, and was opened in 1947. It offers an impressive range of facilities and services and automated chairlifts! There is a large and organised guest services office, efficiently equipped rentals shop and more than sufficient lockers and storage options available for all your excess clothing or food supplies! 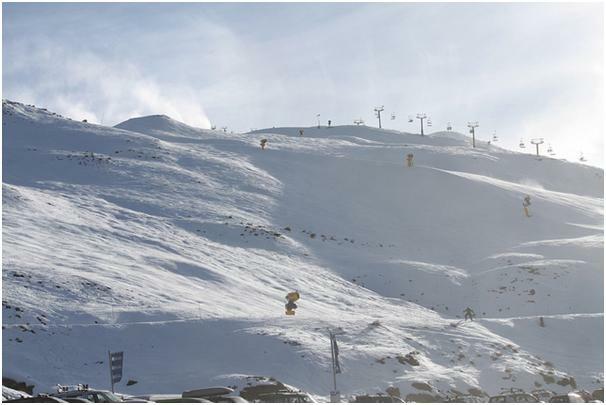 Night skiing starts at 4pm-9pm and because Coronet Peak is owned by the same company that owns The Remarkables you can use your NZsuperpass which makes it very convenient. However, if you don’t have a NZSuperPass you can just buy a night pass which is cheaper than the full day pass! There are a limited number of runs open at night highlighted by huge powerful spotlights. These few runs range from beginners to intermediate and we found there were enough runs to disperse all the crowds. At the base of the mountain you will find the café and bar which are conveniently located a short walk to the chairlifts. The seating area is large enough to cater for all the crowds with both indoor and outdoor services. To add to our night skiing experience a DJ played cool tunes while logs of wood burned on an open fire, providing a perfect environment to watch the sunset and drink mulled wine and icy cold beer! Coronet Peak night skiing is really good fun and I highly recommend it! Even if you don’t ski I would suggest going up and sitting in the café to watch the spectacular view and sunset or be entertained by the crowds, it is definitely worth the drive. ← Your Favourite Dad Jokes!